Jorge Luís Borges, the celebrated Argentinean poet, wrote this poem (here in a translation by Richard Barnes), drawing inspiration from the cloud sculptures of his friend and compatriot Federico Brook, the best known of which is precisely a life-size bronze hand, cast from Borges’ actual hand, gently supporting a small cloud (the poet’s imagination?) with the tip of his fingers. 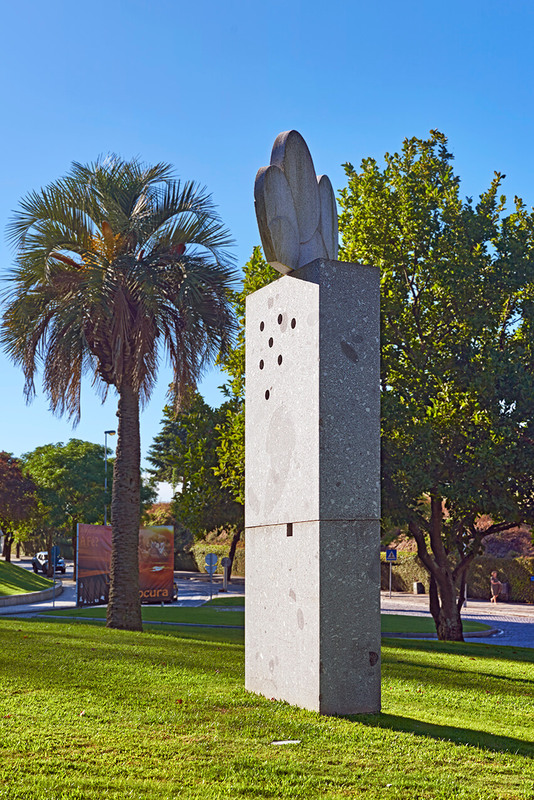 Santo Tirso’s cloud takes our thoughts away from gravity-ridden worldly things in order to appreciate the lightness and delicacy of a cloud (stylised almost like a pop icon) resting at the top of a granite column. With this gesture, Brook redefines the position of our skyline and makes us raise our heads towards the sky, as if he were encouraging us to imagine the clouds. Jorge Luis Borges, his friend, once wrote that Shakespeare saw a cloud that looked like a dragon… What shapes can we find in the clouds we see?